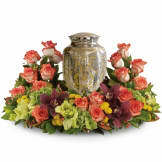 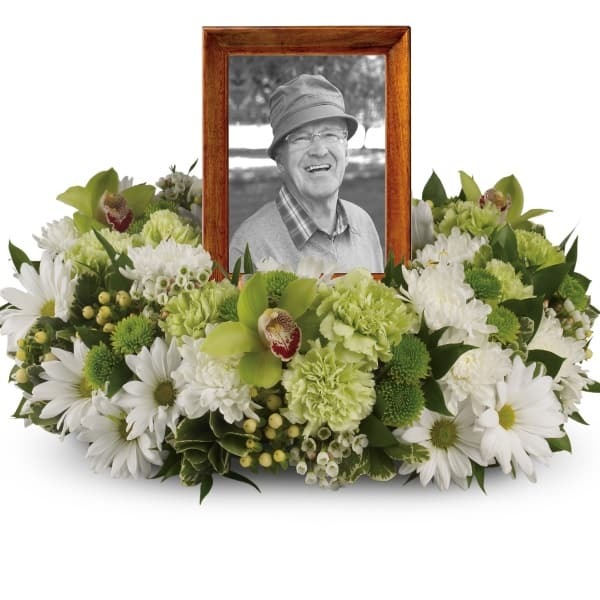 An exquisite round wreath with blooms inspired by the lasting impressions a loved one makes on our lives. Surround a treasured photograph, poem or other dear memento with sweet, green carnations, white and green chrysanthemums and the special beauty of green cymbidium orchids. 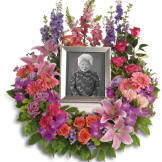 • This luxurious wreath includes flowers such as carnations, chrysanthemums, silky green cymbidium orchid blossoms and variegated greenery. 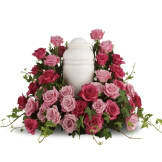 • Appropriate to send to the funeral home or to the family's residence. • Wreath measures 20" W X 14" H.